What is the Howard Personalizer? A small table top hot stamping machine that allows you to offer in-house imprinting. We offer four models to suit different needs. Starter systems include everything you need to begin printing. The process is called hot stamping. It uses foil (not ink) to make the impression, and it is done in three easy steps. 1) Set up type or insert logo into machine. This heats up in four to five minutes. 2) Put your selected color of foil on the machine. 3) Pull the handle and apply a little pressure. Your item is imprinted just that quickly! How does imprinting add value? What items can be imprinted? What Materials can you print on? Howard has many exclusive advantages. Uses same type holders, attachments, etc. How many imprints from a roll of foil? 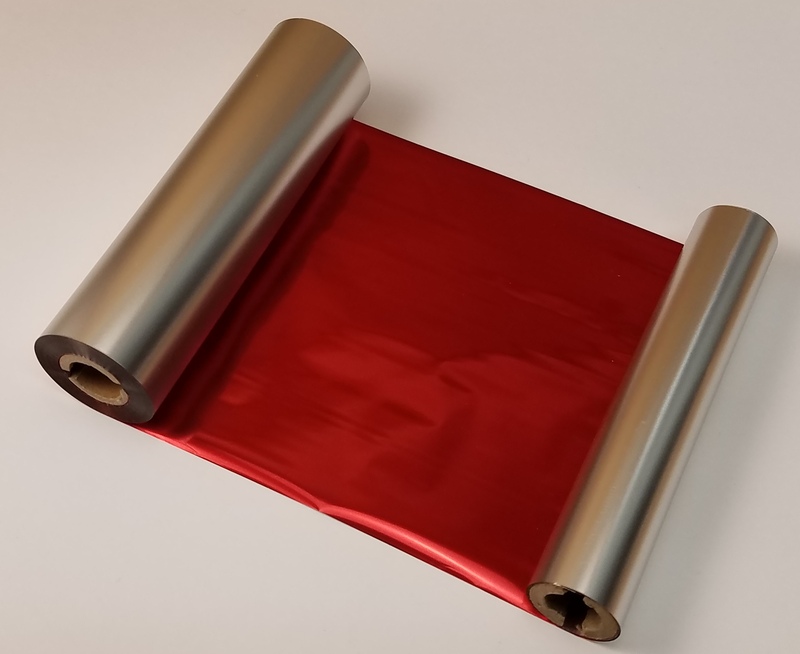 Foil rolls are either 40' or 50' in length depending on the color. If you are printing one line of 18pt. type, you can get 1800 imprints per roll (cost $.002 per imprint). If you are printing two lines of 18pt. type, you can get 900 imprints per roll (cost $.004 per imprint). The Howard Personalizer has an infinite foil feed system that allows you to make adjustments so you do not waste any foil between imprints. If a customer wants to have their logo imprinted on an item, you will need to have a custom die made. Dies are made from black and white artwork of the logo and cost between $35.00 and $50.00. The dies can be inserted into your Howard Personalizer and printed on any item they choose. We use a 125-watt heating element. The Howard Personalizer will heat up the type in 4 to 5 minutes after it has been inserted into the machine. What is my pay back period? Based on a survey of our customers under typical usage you can expect to recover your initial investment with profits from imprinting in 4 to 6 months. After that period the rest is pure profit. Look under the Profit Potential section to give you a better idea of how quickly you can start making money with your new Howard Personalizer.